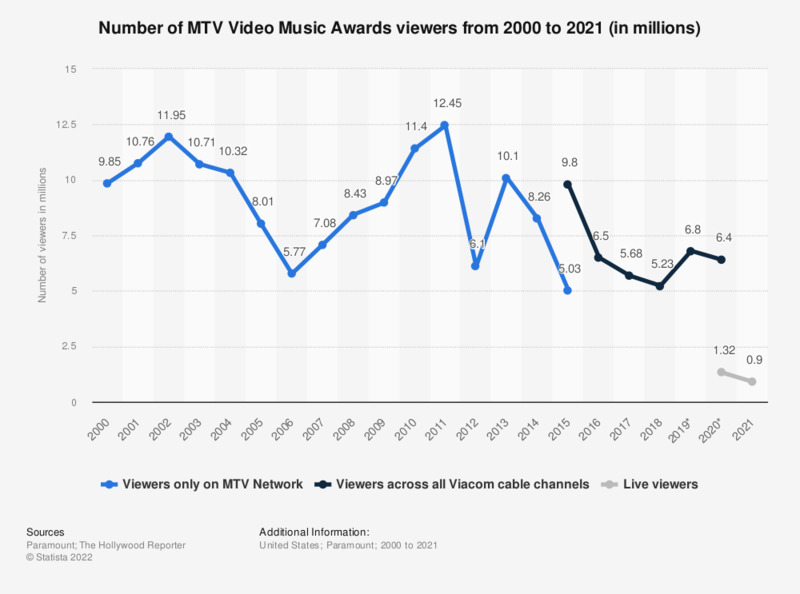 The statistic presents the number of MTV's Video Music Awards viewers in the United States from 2000 to 2018. According to the source, 5.23 million Americans watched the ceremony in 2018, down from 5.68 million a year earlier. Figures for 2000 to 2016 come from earlier publications.